Where is this rocket ship going? Where did it come from? Your child can create a story and get a step-up by using the word bank as a place to start! What is life like in outer space? Second graders explore the power and fun of writing with a nudge from fun writing prompts. Here's a writing prompt to put a jig in your step, and pep in your writing practice! 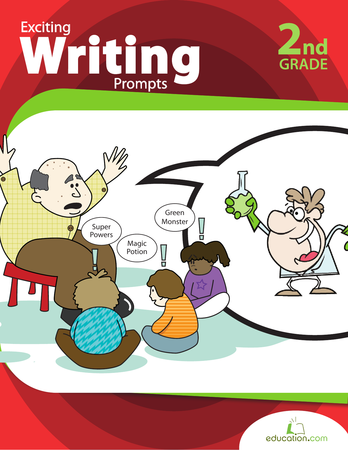 Your child can decide what's happening and where these characters might go next, using this writing prompt as a start.